After my PT described me as the “least flexible person she had ever met”, she talked me into giving yoga a go. 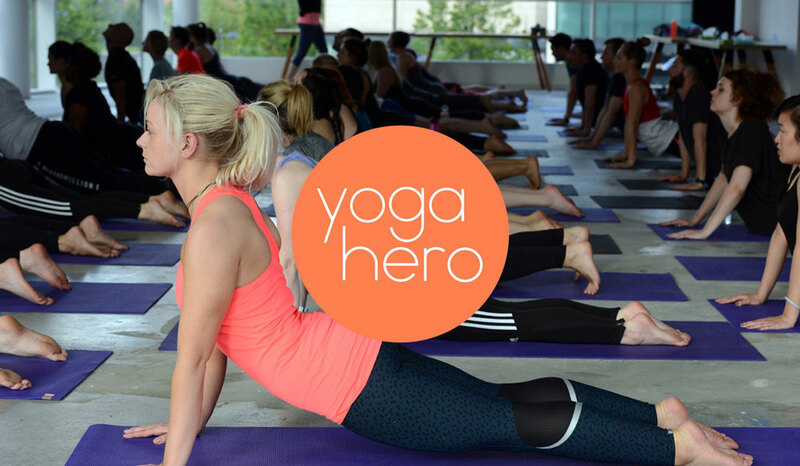 As Yoga Hero is just across the water from the office of a client I am currently working with, I’ve been attending their beginner’s classes. They know their audience. They have a special lunch flow class designed to avoid getting you sweaty, something I am sure colleagues will be pleased about. They run two beginners classes a week. Monday’s class is taken by Sophie which is quite strength and stretchy. You come away feeling the burn. Friday’s class is taken by Anna. That’s a bit more focussed on the mental aspect of yoga and I find it a little more relaxing. Both are fun. One thing I would like them to add is a double-slot class. Anna’s classes end with a relaxation session where you use a blanket, close your eyes and spend some time being mindful. I feel that would transition really nicely into an hour-long nap, and I would pay twice the money for it. This entry was posted on Tuesday, January 22nd, 2019 at 11:00 am and is filed under Life. You can follow any responses to this entry through the RSS 2.0 feed. Both comments and pings are currently closed.